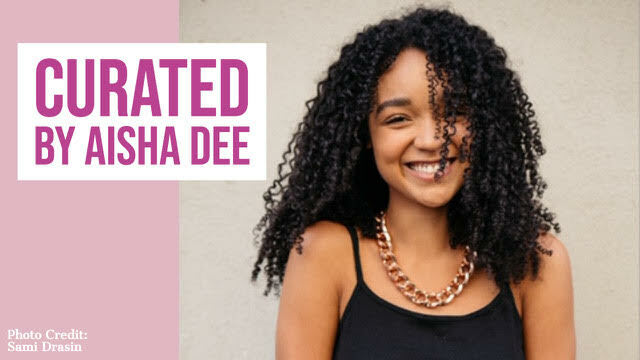 This week’s curator is the one and only Aisha Dee! Aisha stars in Freeform's hit show The Bold Type (the third season premieres April 9, so get excited!). The show centers around the lives of three best friends who work at Scarlet Magazine, a fictional global women’s publication. The Bold Type discusses critical issues like gender equality, body image, race, LGBTQ+ issues, and more. Aisha plays Kat: the bold, honest, and confident social media manager at Scarlet Magazine. Kat is committed to using her voice and making her mark on the world. Enjoy Aisha’s channel, and watch Aisha on The Bold Type — Season 3 Premieres this Tuesday at 8/7c on Freeform! Newer PostShelley Zalis Is This Week's Curator!